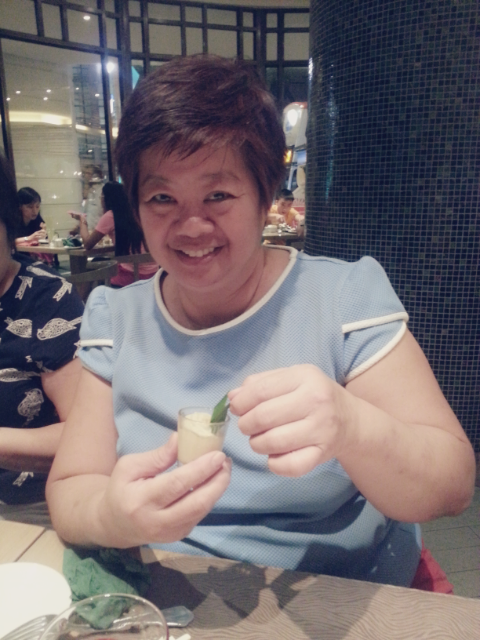 First and foremost, let me take this chance to wish my Mother, the greatest Mum on earth, a HAPPY BIRTHDAY! 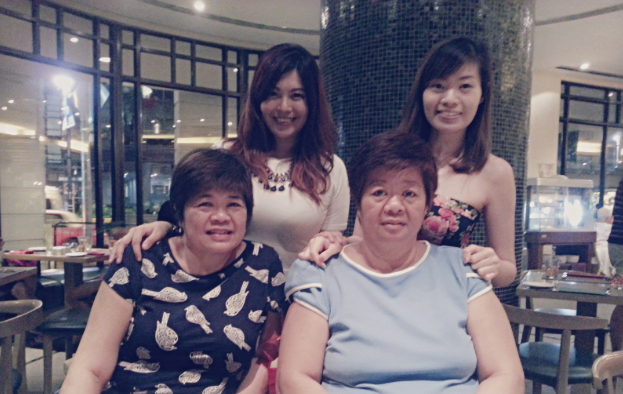 May Mum be blessed with longevity. 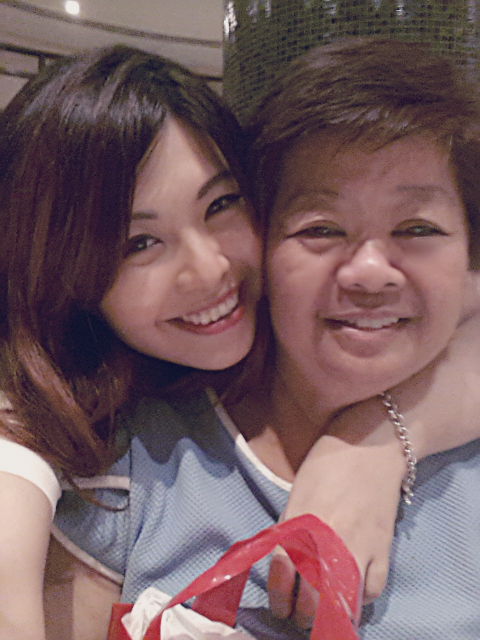 Although she can be very irritating and a pain sometimes, well most mothers are anyway so i am lucky i have a really good one. HAHA! 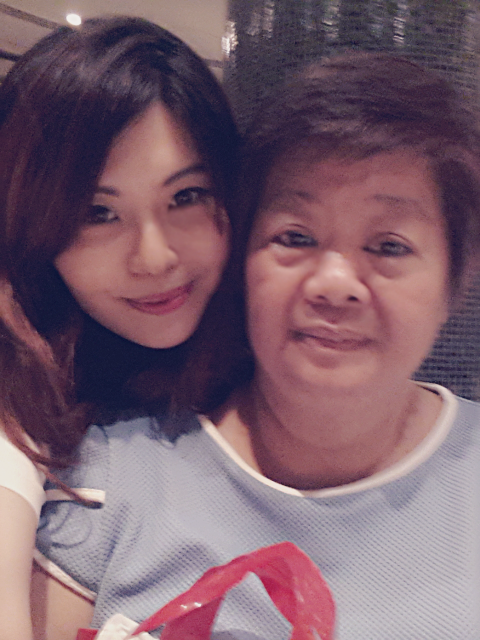 She is the strongest woman ever, bringing me and my Sister up and loving us unconditionally. 🙂 I have lost my patience towards her many times and although i have been trying to be better, i still fail time to time. 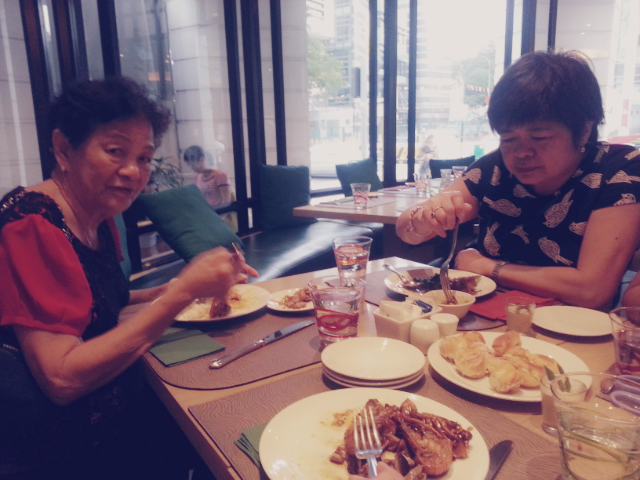 However, she has never for once hated me for that, I am very blessed to have a Mum that loves me so much, and i am also blessed that when problem arises, sister and John are there to help calm me down. 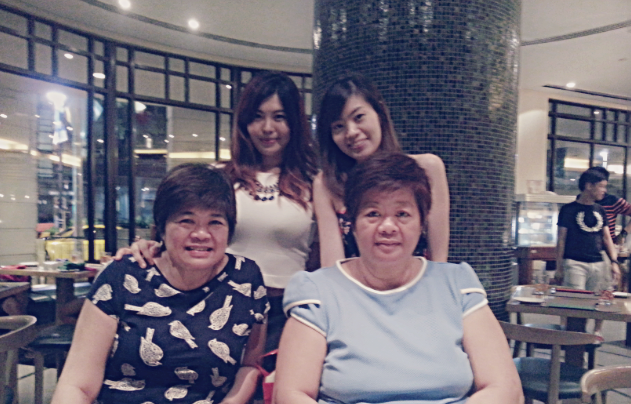 Gonna rush home after some unhappy event (i will update on that soon) for cake cutting and mini celebration. 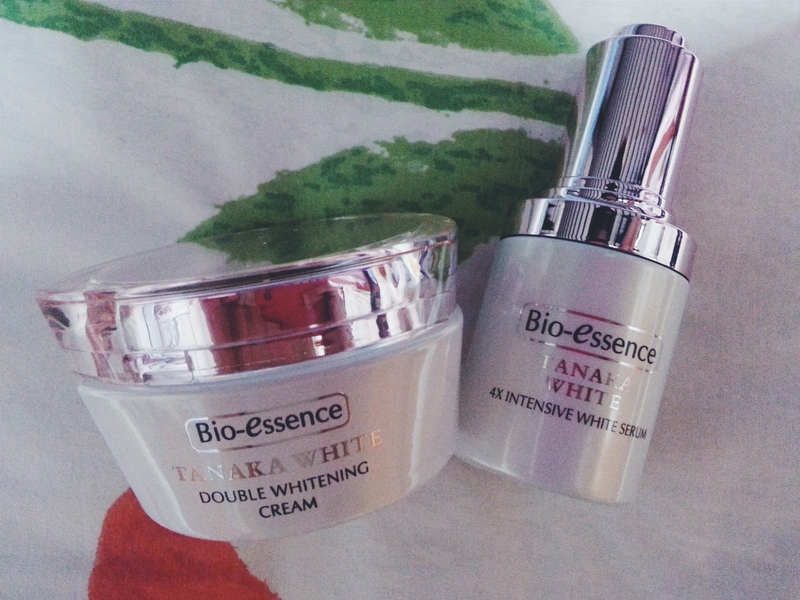 Ok, anyway, i guess it is kinda overdue for my review for Bio-essence Tanaka White. I better get it done before i am so packed again. Sponsored So, i received 2 items the other day and although i am taking longer than usual to submit this review, i believe it is for a better cause too. I do not want to start using something for a few days and give my verdict after just that few days. The longer period of time i use the product, the more i can experience and understand what the product can do. 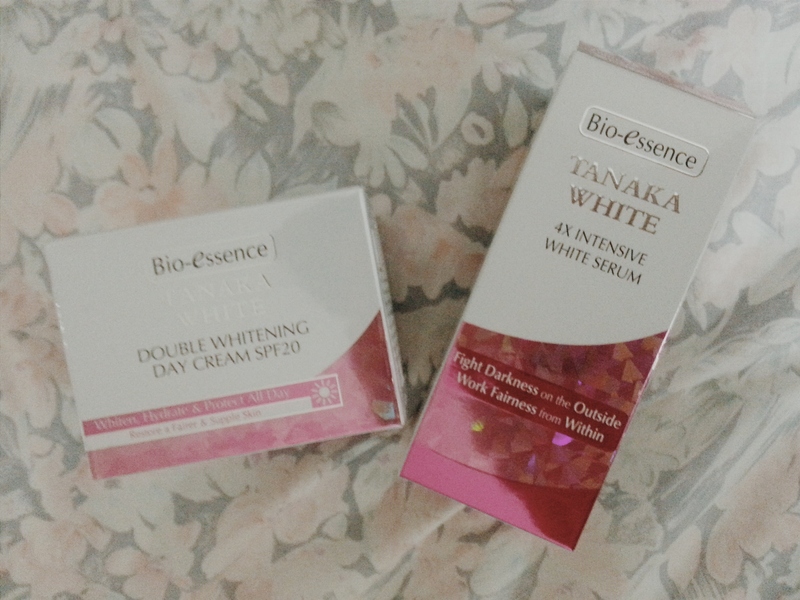 As you can see from the packaging, on your left, it is the Bio-essence Tanaka White Double Whitening Day Cream SPF20 ($29.80 / 50g ) and on the right, it is the Bio-essence Tanaka White 4x Intensive White Serum ($45.80 / 30ml). 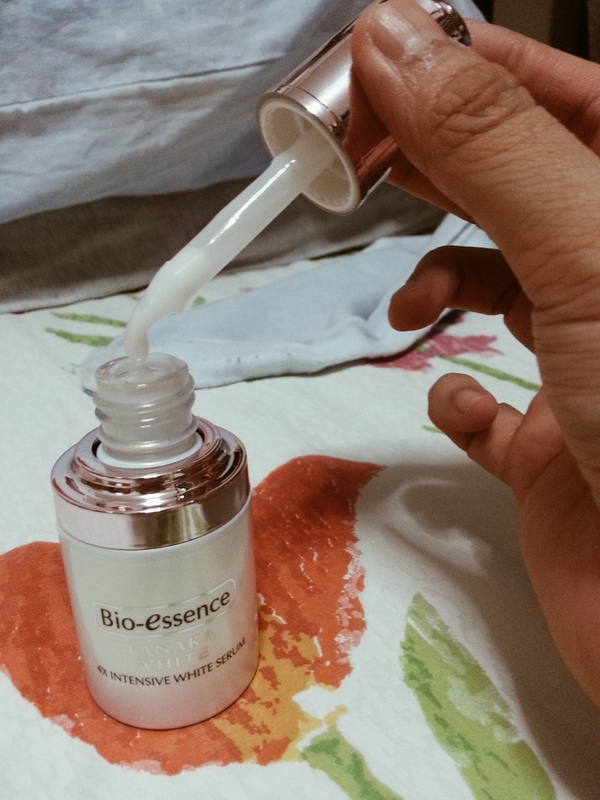 I can’t wait to try out the products the moment i got them as i am a Bio-essence user too (Bio-essence V face cream). 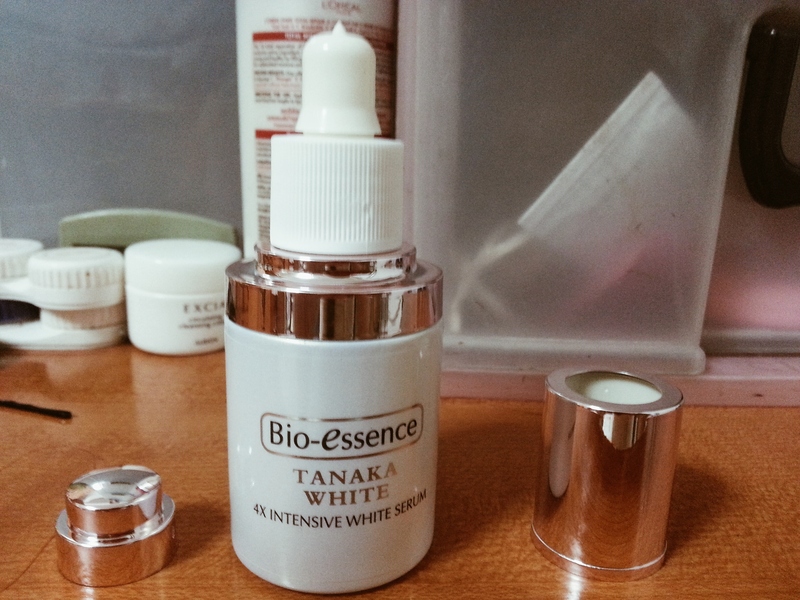 After cleansing, i apply the Bio-essence Tanaka White 4x Intensive White Serum and as instructed on the packaging, i apply another layer over areas with dark spots & freckles. 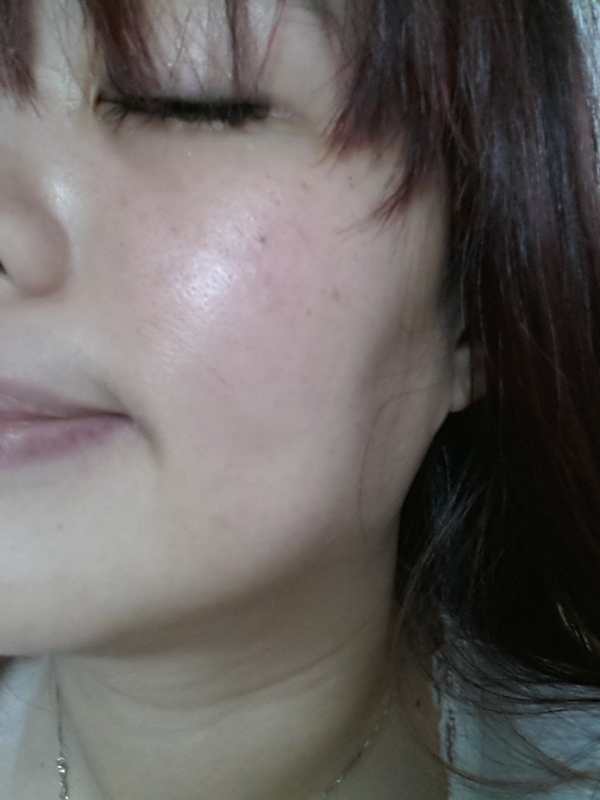 Oh man, those freaking spots and freckles, they are my biggest enemies. 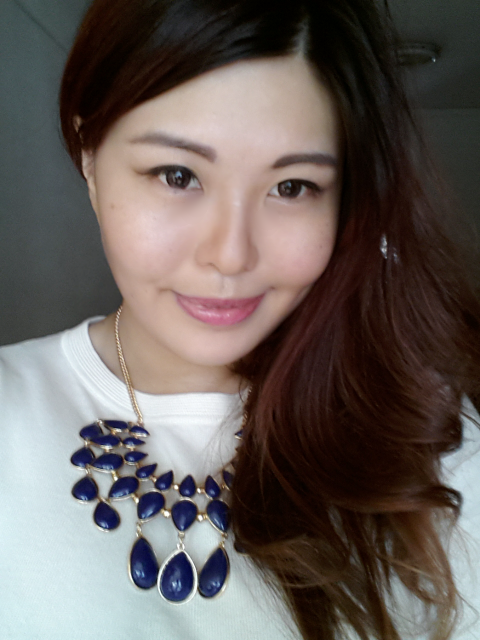 My skin is generally good and will be better without those spots. Tsk. Well, i do not usually care much about the ingredients but it is good to know from time to time. For this 4X Instensive White Serum, it promises to fight Darkness on Outside, Work Fairness from Within and it claims the following benefits: Effectively lighten existing pigments and spots Block tyrosinase and inhibits the production of melanin to prevent dark spots and reduce darkening after UV exposure Even out skin tone, whiten & brighten complexion Moisturizes and cools skin Result: Skin exudes radiance, for a smooth, fair & healthy looking complexion. Skin’s fairness intensifies for flawless fair skin which glows from within. 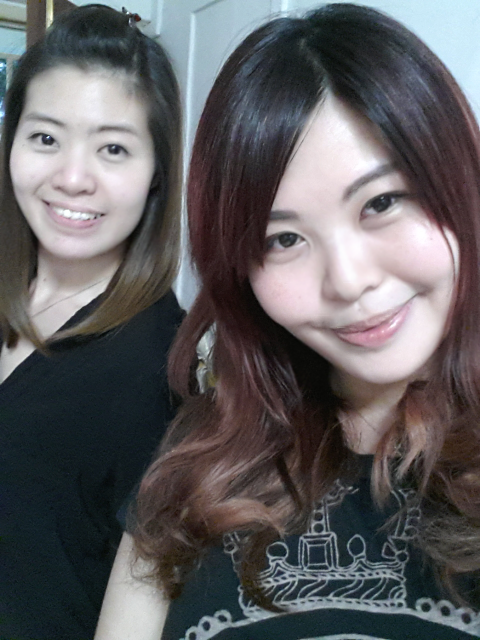 The above 2 pictures ( me in black) are not edited nor filtered. 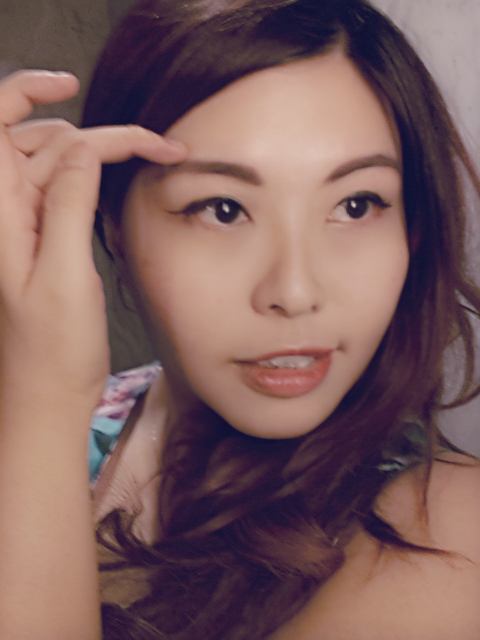 I did not have any make up on besides drawing my brows, pictures was taken after using the Bio essence Tanaka White 4X Intensive white serum and SPF20 Cream. Pictures are taken under normal room light. Like super alot of selfies. 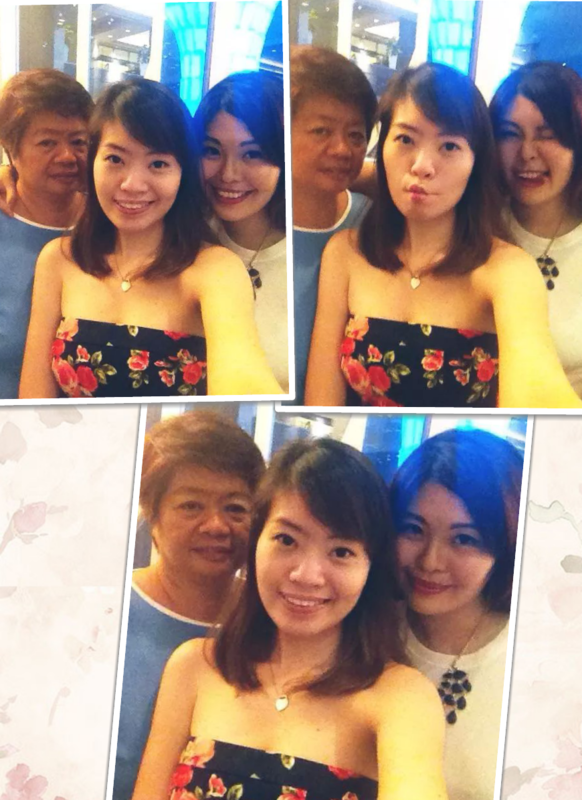 Yah i know, age is catching up and selfies technically should be left for the younger ones but really, i like selfies. LOL! This 1 is worse, it looks like some kind of ad. 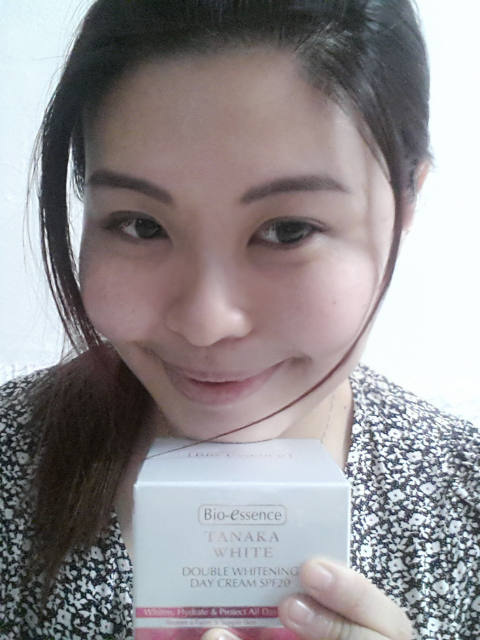 HAHA, actually this was taken specially for the Review for Bio-essence Tanaka white range. 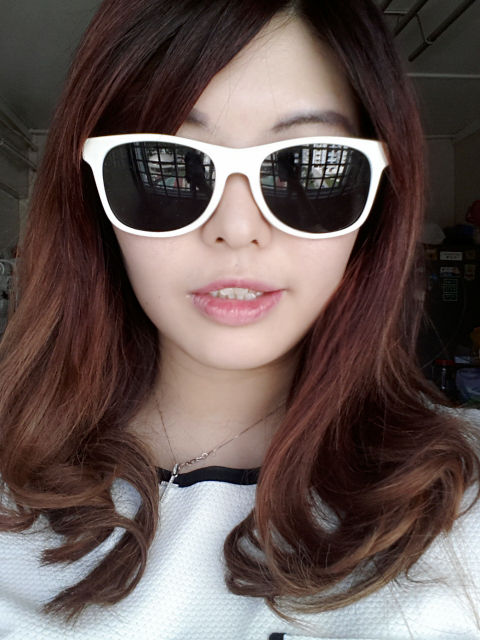 Like i said, the product is really not bad. 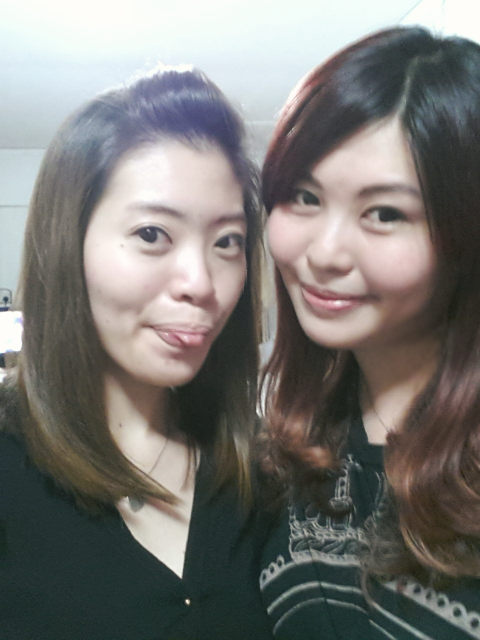 The Sis chopped off her hair. I think it suits her though. 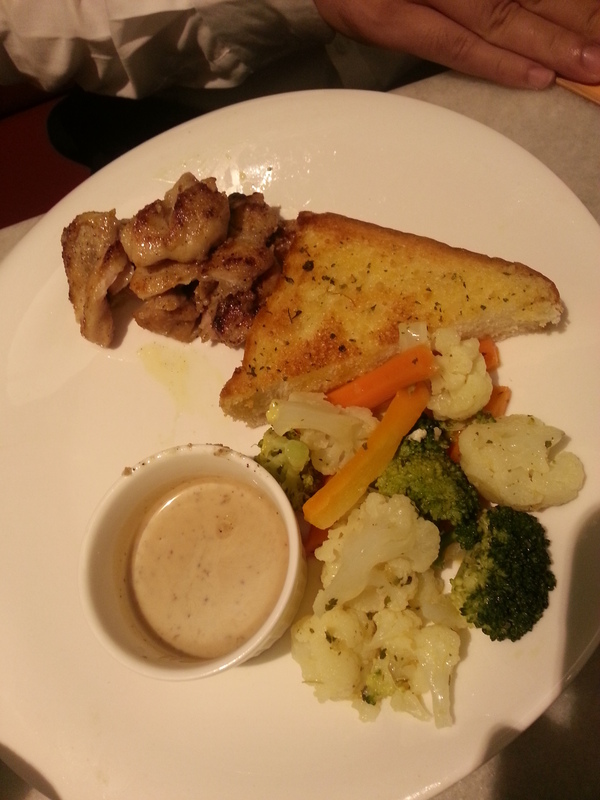 Food was really not bad, i would rate it 7.5/10. 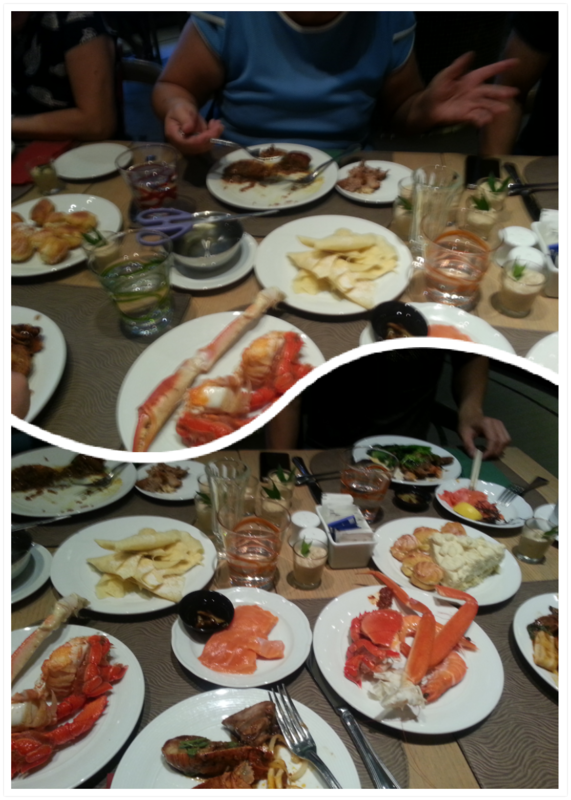 The spread is quite ok but it will be better if there is more variety. However, the pricing is totally justifiable. 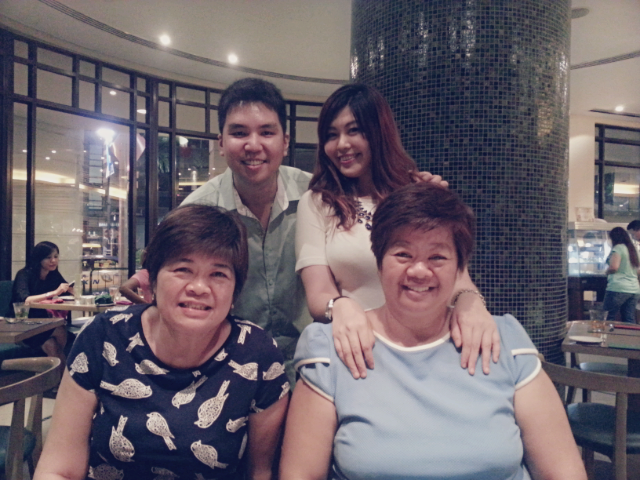 More pictures on my FB. 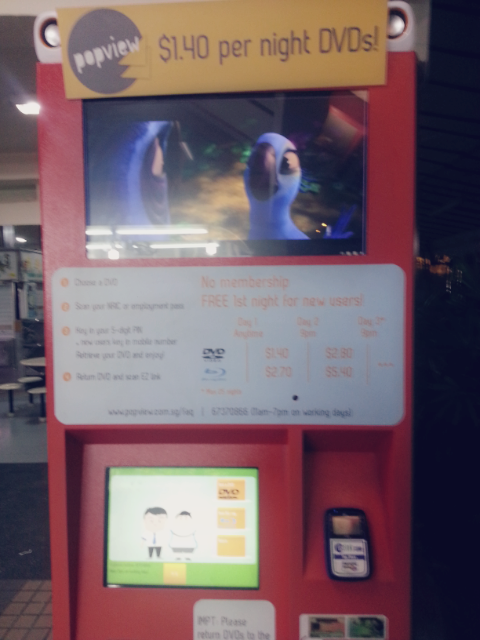 Tried this DVD rental machine the other night with Johnnie. Not too bad, just lack of variety of shows. Also, 1 of the discs can’t work – bummer. 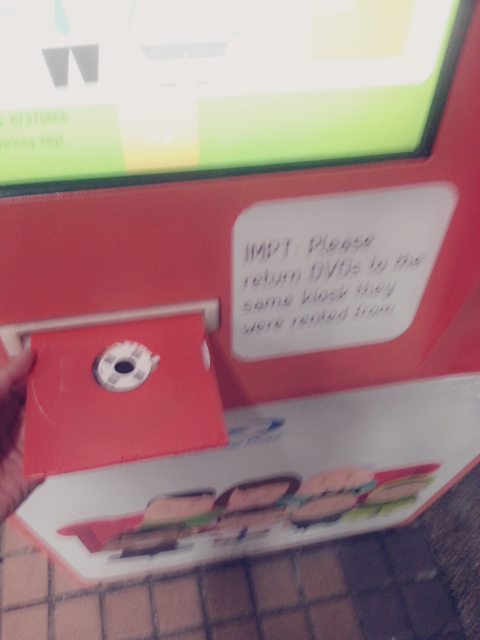 Wasted my $1.40 but if you are a new user, the first disc on the first night is FOC. I know people download shows nowadays and thus it is quite fun to try the oldschool way of renting shows. Actually, it was just my problem with the internet connection and thus i can’t really use internet at home now. LOL. Bummer. 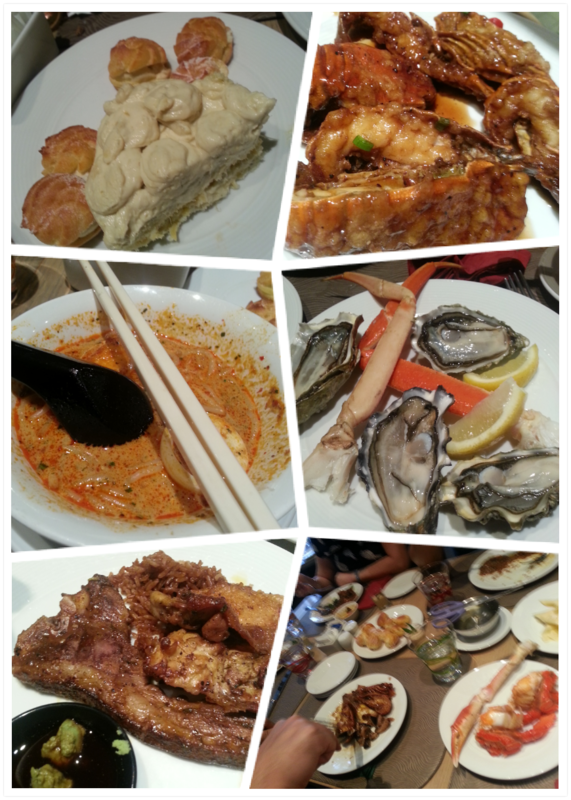 I must really give credit to OLD TOWN at East Coast Park. 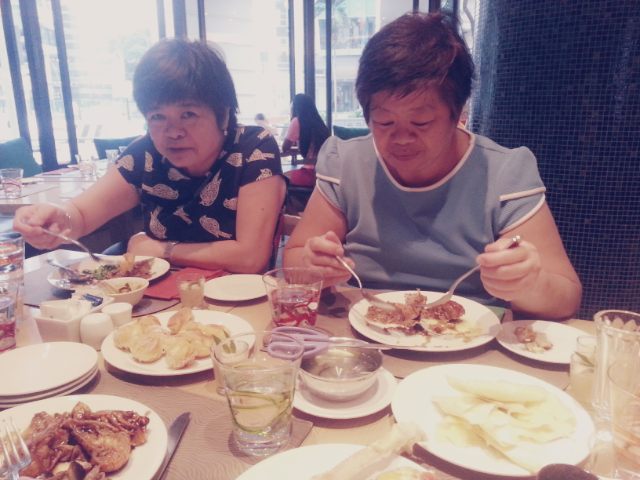 Look at the above, the pictures are taken before we touch a single piece of food on the plate. 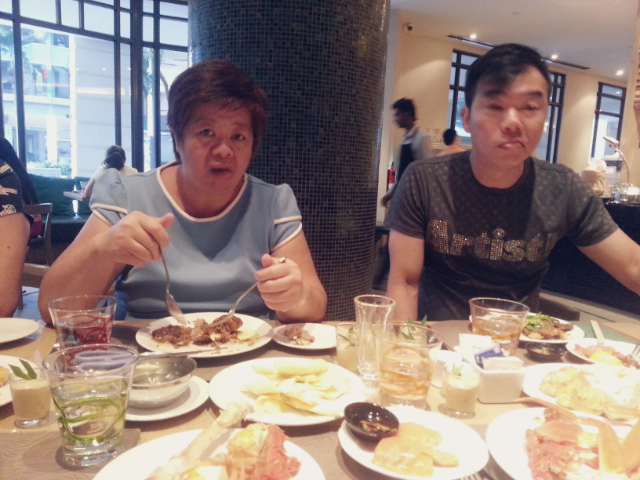 Overwhelmed with hunger, we have no choice but to gobble these crap down. Quantity, i have nothing to say as you can already see that the bread is twice as big as the chicken chop and the cheese is ard 1/8 of the saucer. Anyway, on a happier note. 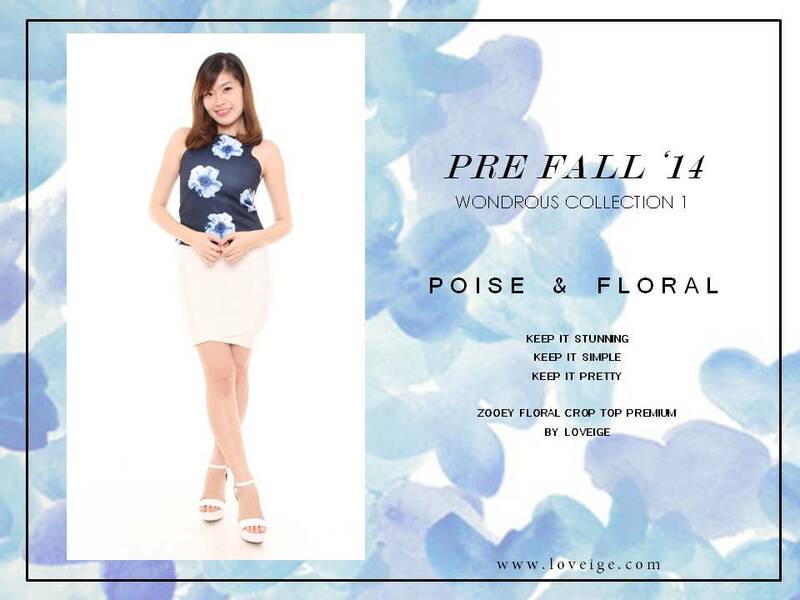 LOVEIGE has launched the latest collection, you might want to dropby and take a look. The collection this time is really versatile and prettayyyyy. I included some pics for you, but you may head to http://www.loveige.com to look at the measurements and etc! 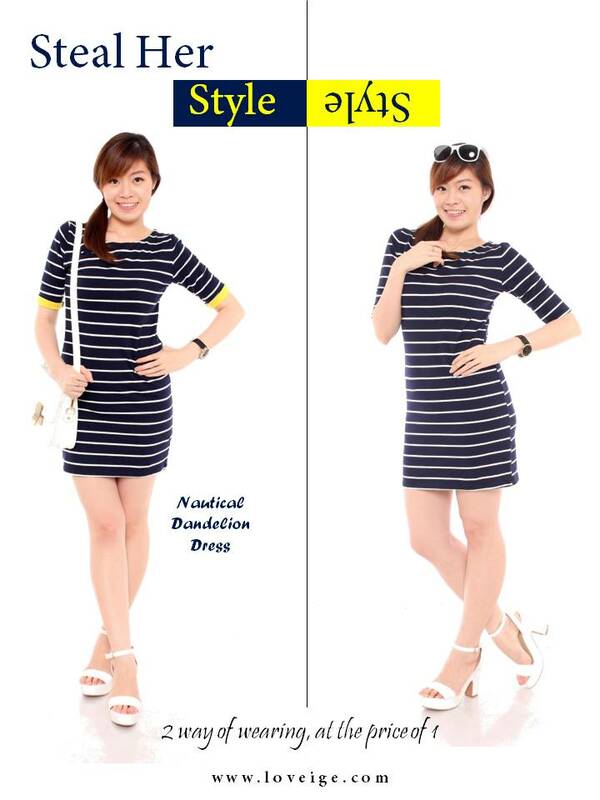 Oh, did i forget to include that the clothing are retailing at really affordable pocket friendly prices. Totally justifiable, quality is amazingly thick and good compared to some other shops out there. 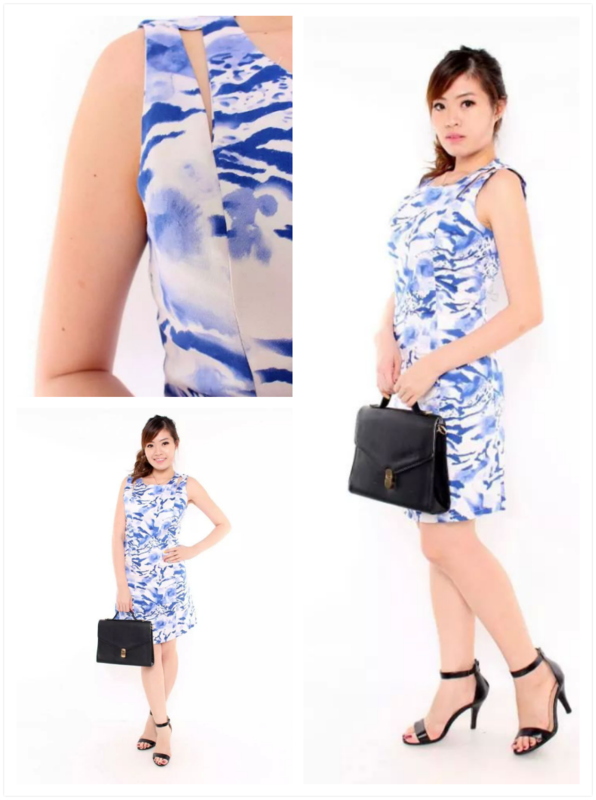 Upcoming, this Porcelaine shift dress fits UK4 – UK12. 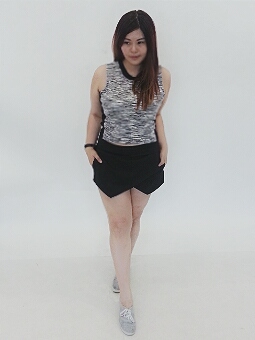 I am a UK8 – UK10 (for H&M) and thus it looks fitting on me. It will be looser on a smaller girl and fitting on the curvy ones (UK 10 – 12). Both looks awesome in my opinion. Very Pretty prints and made of quality neoprene material that is rather cooling. 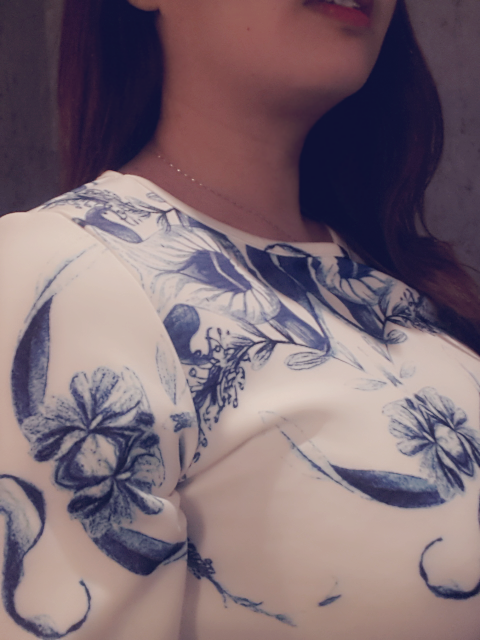 Gorgeous Waterpaint Dress for work. This Midi is so lovely and sweet that i reckon no lady will resist. or the e-tailer shop itself! Have Fun! 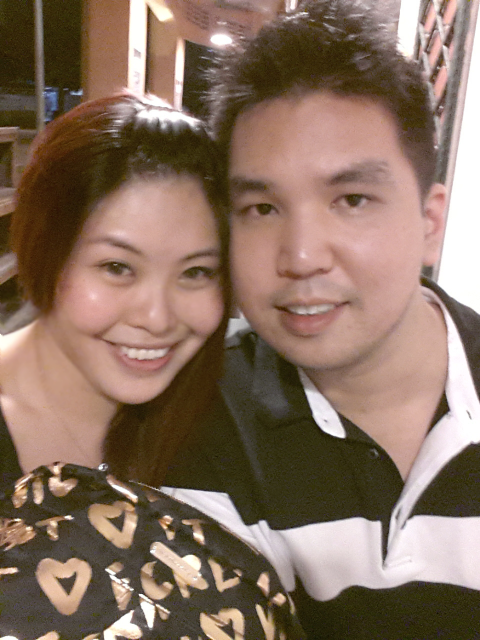 If you notice that i have been more active after the long hiatus, yeap i am really trying to share as much as i can. Even if it means that i cant share much about the updates of my life (not like you will be interested anyway because it is always the same old things that is happening.) i would still want to pen down on the products i used and the results they bring. 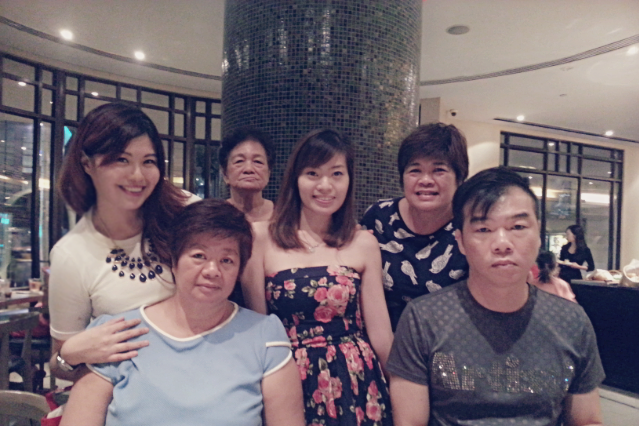 Reason being, i am the infamous blur sotong. I want to be able to record down what i have used before, where i have eaten before and etc so i will remember in the future. 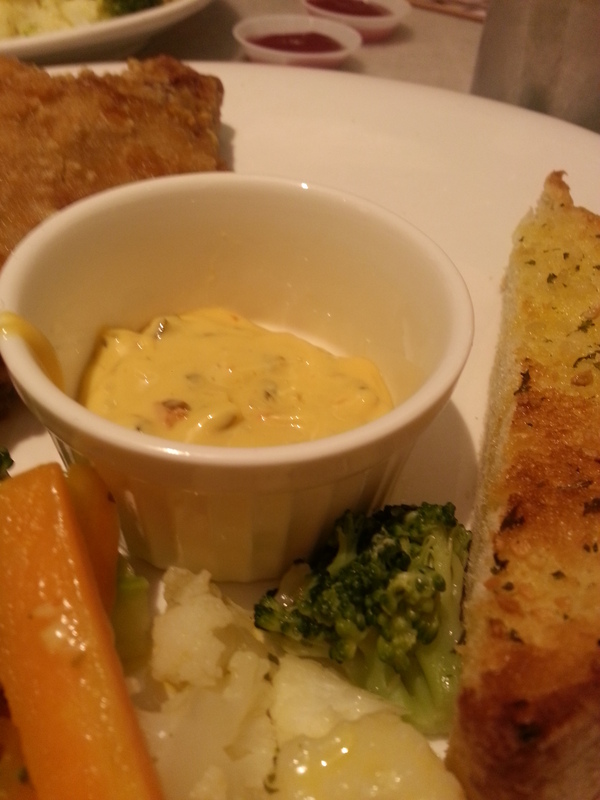 My blog is also a reference for myself since there are so many products in this world, so much food and so many eateries that we patronized. 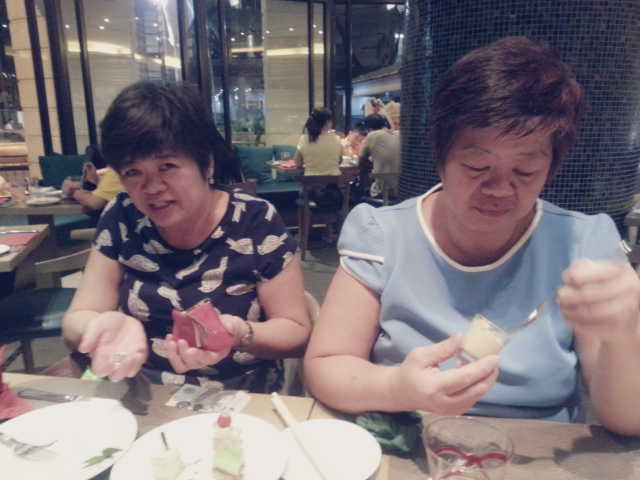 Penning them down helps me to make easier choices in future. Yes, not only blur, i am VERY lazy too. My blog is known for being honest, even when it comes to sponsored items. As what i mentioned before, because i do not rely on blogging for a living, i want to be credible when it comes to reviews, thus i am able to write what i want to. But i have to emphasize that everyone’s preference is subjective, so whatever that works or does not work for me, might not be doing the same for you ok? 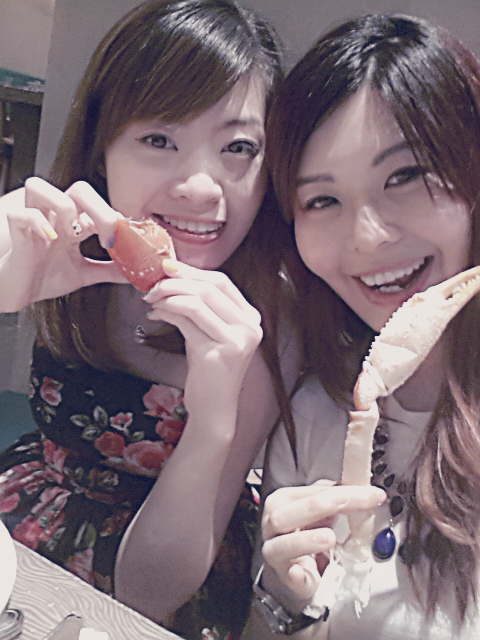 After the sad review about my eyelash extension yesterday (or the day before ah? ), today’s review will be better and happier. Haha! Ok, first and foremost, this review is considered as sponsored, i did not buy the item. But i shall just be honest about the item. 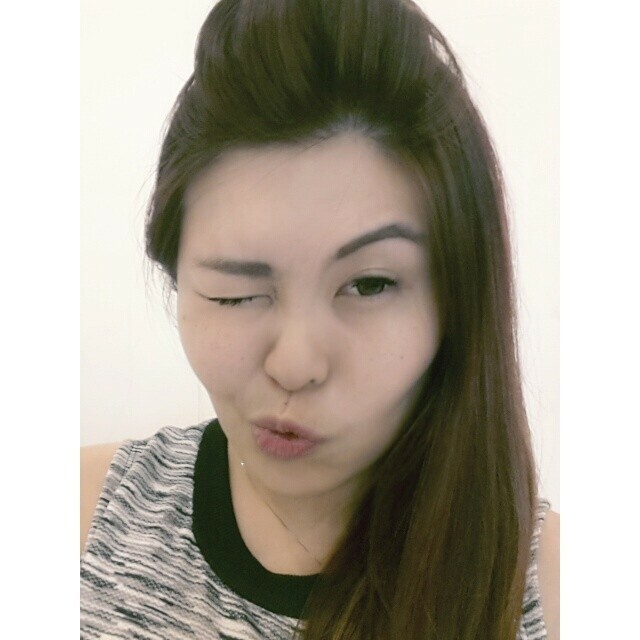 We are looking at the most raved about brand today – KISS Skincare. Recently, i saw plenty of bloggers writing about this product. To be honest, i am very skeptical when it comes to skincare products being advertised crazily by bloggers. No offence to any one of them but very rarely you will read a negative post from them isnt it? 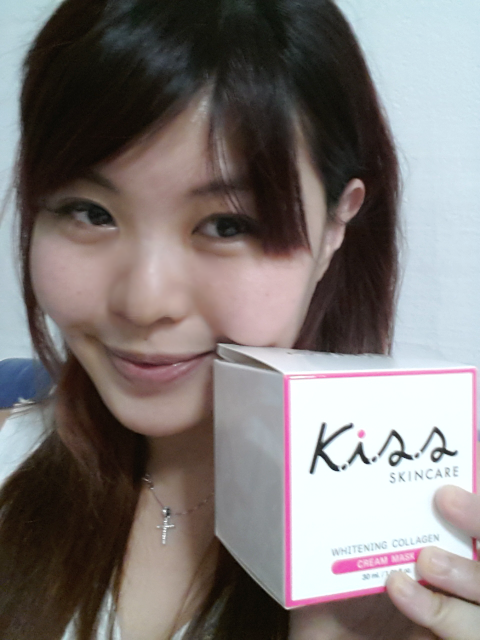 So anyway, i received the bottle of KISS SKINCARE Whitening Collagen Mask 2 weeks back. I hafta admit, despite being skeptical, the packaging kinda got me. It just look so pretty. I am not a pink person but somehow, the box and the way it is packaged really caught my attention. KISS Skincare’s Whitening Collagen Mask is a product of Thailand and is already one of the BEST SELLERS for whitening collagen cream mask. It is co-founded and recommended by Dr Atom of Atom Clinic in Thailand, a famous celebrity doctor known for his celebrity and super model clientèle. 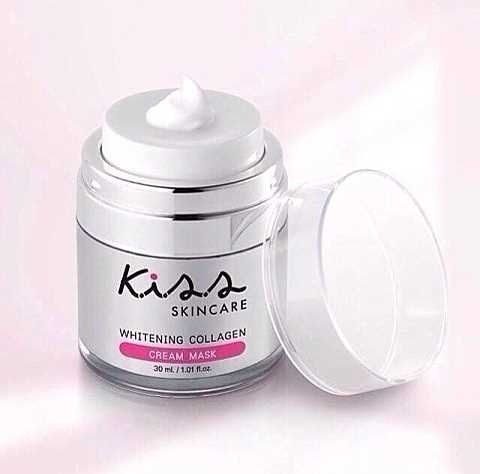 “KISS Skincare Singapore is a local based e-store.They are the Authorizer Sole Distributor for KISS Whitening Collagen Cream mask. The mask cream is meant for overnight application. It comes in a vacuum cap container. Well, i believe many of you will be delighted to know this because it definitely helps to ensure that the cream is kept away from the environmental air, thereby keeping it fresh. 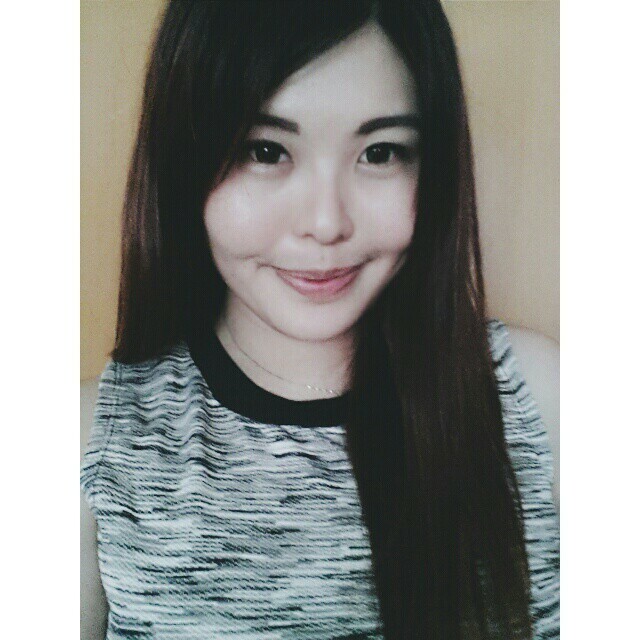 No Make Up, No Fliter, No Edit. 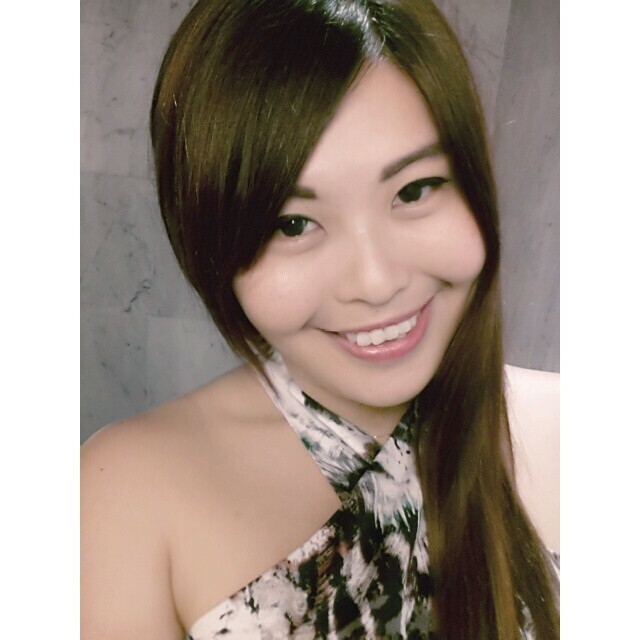 If you are a regular reader, you would have known by now that whenever i am reviewing skincare product, i do not alter my pictures to show the results better. 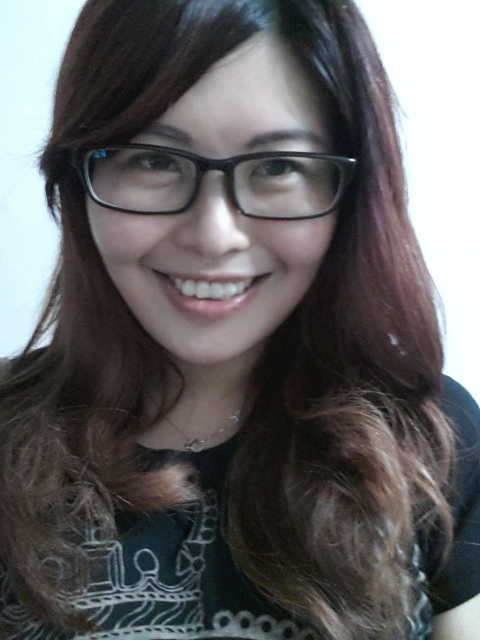 So, the usual, i cleanse, i put my toner and i applied the Kiss Skincare Overnight Mask Cream. I like it that the pump allows users to only dispense what they need. I tend to waste cream as i tend to ‘dig’ and ‘squeeze’ more than what is needed. However, not guilty this time as the pump is a savior for people like me. 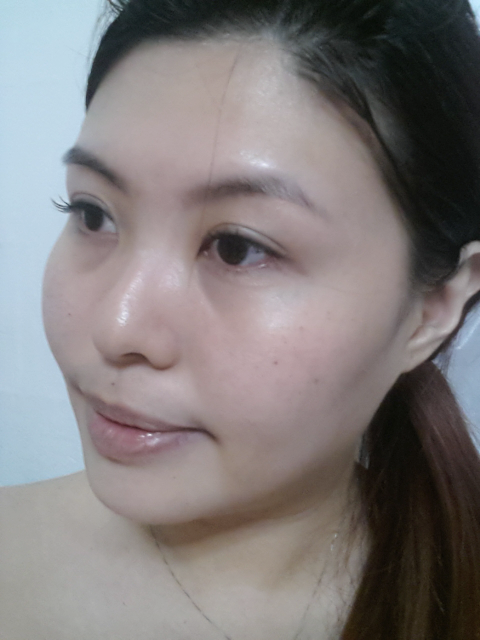 This is how my skin looks after the application. Freckles are ugly, so ignore them. Haha. Total raw pics, both pictures not edited. It is considered average for the level of stickiness. It is not very sticky and after half an hour, it is completely ‘smooth’ and kinda ‘dry’ off from my skin. 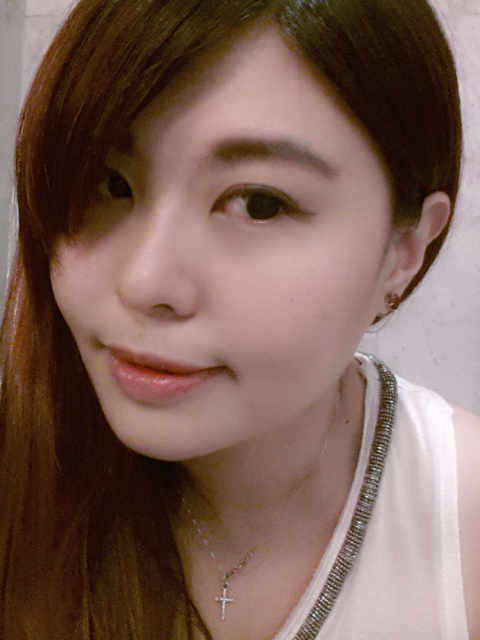 Probably, the absorbency of the product is good, product was in my skin and the pillow was clean the whole night. Haha. However, i find it a tad ‘dry’ for me. Not sure if it is due to my skin nature (i have dry skin). 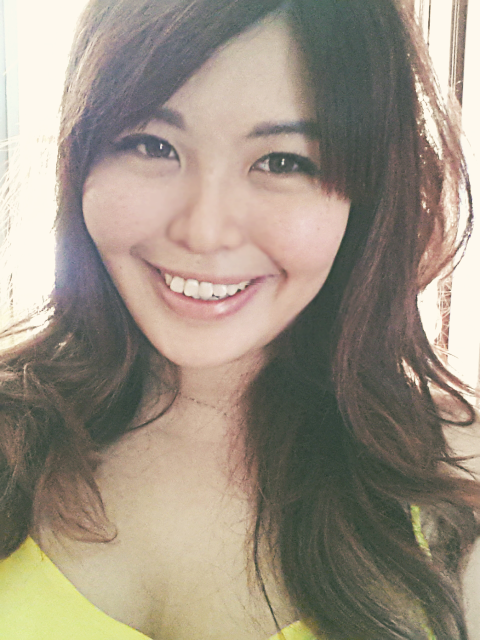 Okay, so i woke up and cleanse it off, still feeling very fresh after the cleansing. 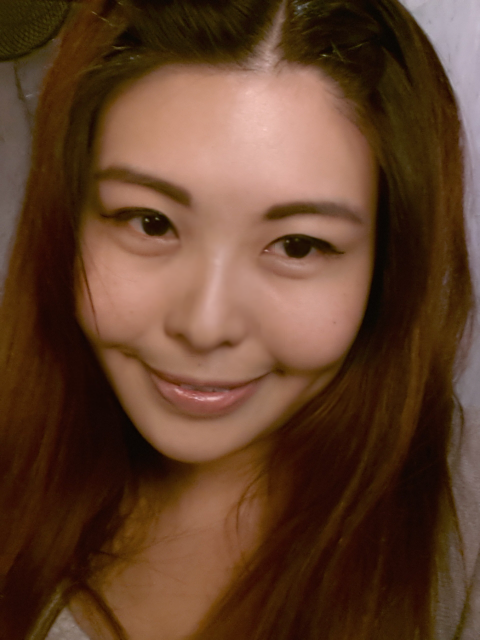 Face feel smooth, perhaps that’s the collagen part that is working? 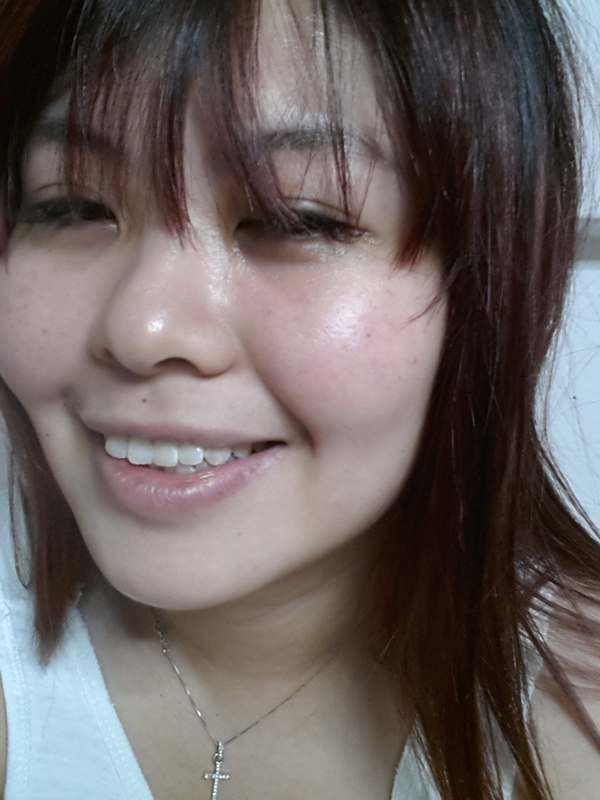 As for whitening, it does not really whiten me which i am really relieved. I really do not fancy a piece of white face to go with a not so white body. The face felt ‘fresher’ after the wash. Overall, i would say that this product is worth investing (if you calculate, lol) Although $58 is not extremely cheap for a 30ml tub of cream. The amount needed for the face is not alot, the pump does help alot in saving and you only need to use this product 2 times a week! Meaning, you only pump 4 times a week if you need 2 pumps each time. Quite worth it for an overnight mask cream isnt it? Anyway, to make this review even more appetizing. 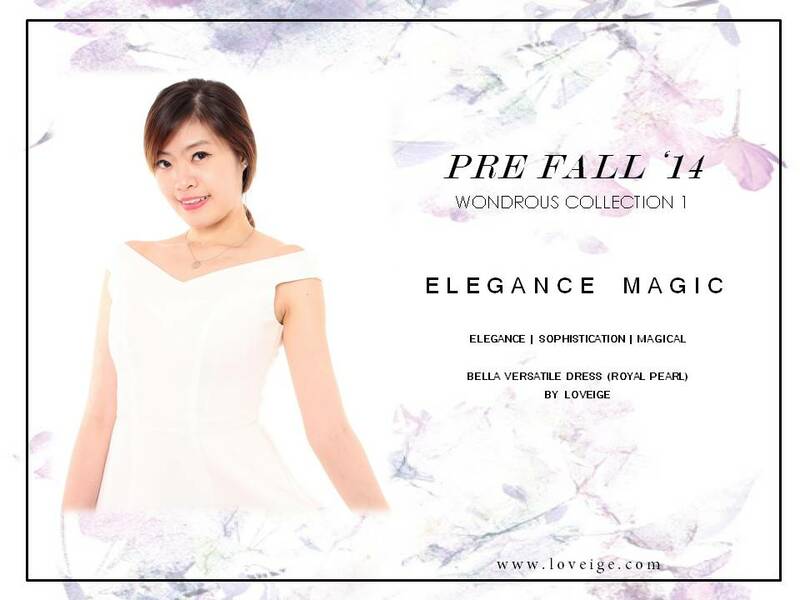 Aspiring Singapore Online Fashion Store LOVEIGE is having a tie up with KISS SKINCARE this July and they are promising the first 5 customers a tub of the Whitening Collagen Mask Cream each with any purchase. Yeap, ANY PURCHASE! Which also means there is no minimum spending at all. Which also means that you can choose to buy one of their sales items and get a tub of Kiss Skincare Whitening Collagen (worht $58) for free! Despite saying that, LOVEIGE is not compromising on their quality. 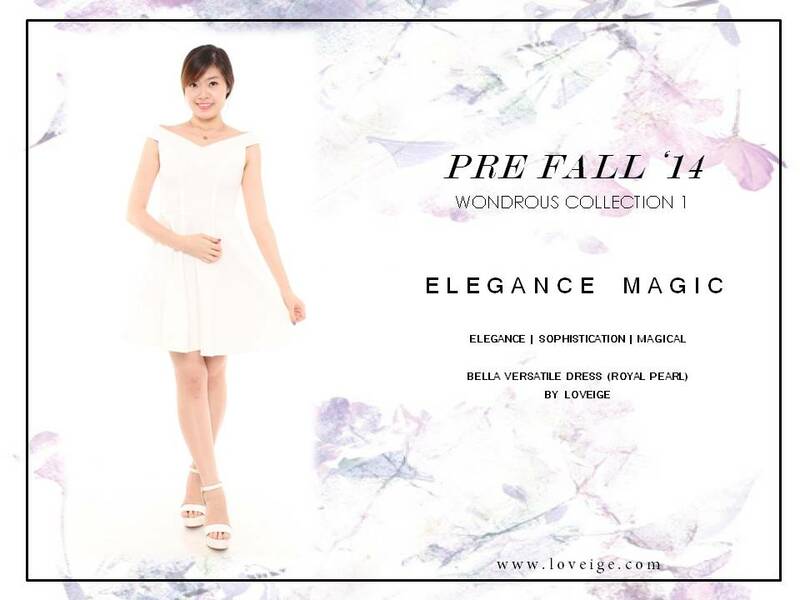 If you have not already knew, each and every piece of apparel from LOVEIGE is handpicked and exported with careful consideration. Different real life models will try on the various sizes of every design to make sure that the measurements provided are accurate. 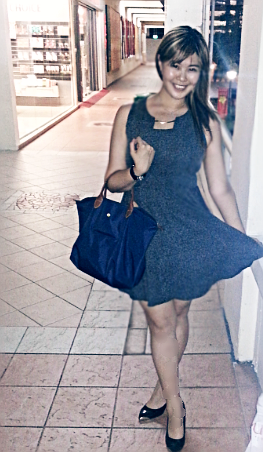 LOVEIGE always believes in High Fashion at Good Cost. 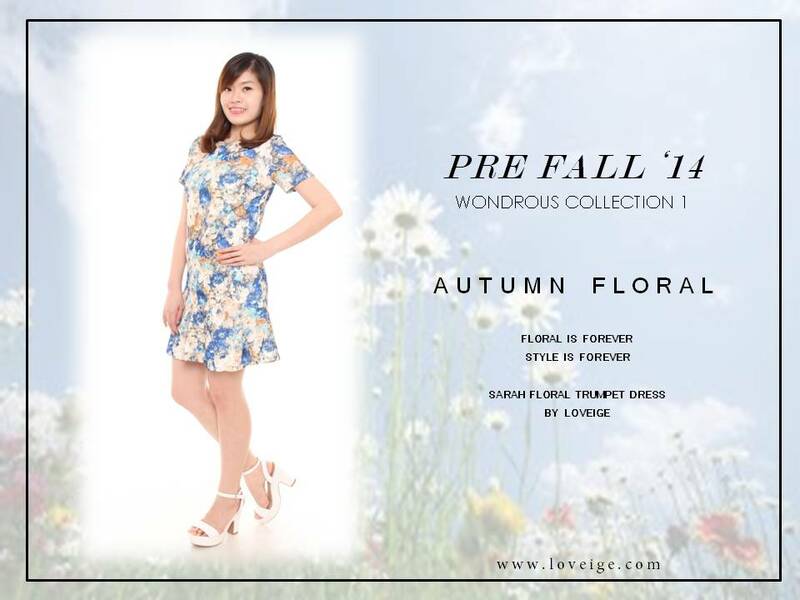 All Apparels are suitable for students from age 18 to working adults age 40. Versatility is important to every lady and LOVEIGE totally understands that! Although they are not manufacturing at the moment, manufacturing is in the near future and for now, every design is specially brought in and the chance of having the same piece with others is slim. If you miss their crazy GSS sale which ended yesterday (items from $13!) Fret Not! This upcoming deal is even more tempting! 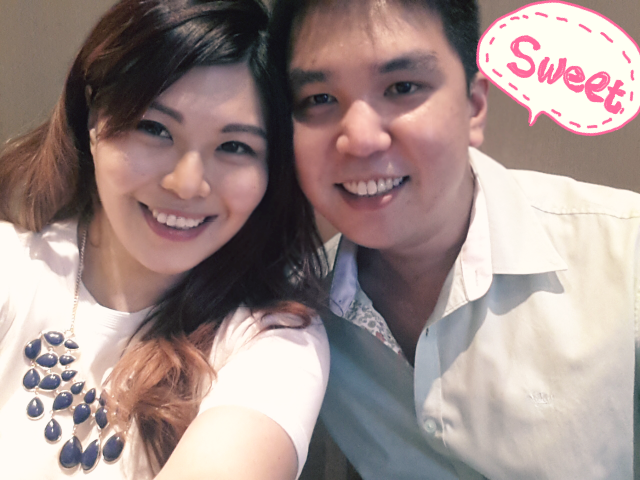 Happy Looking Good this July! As bloggers, it is not uncommon to get sponsorship from brands and companies. But LOVEIGE believes that every lady should be treated equally. Bloggers do get the attention, and in return, so will the advertisers. 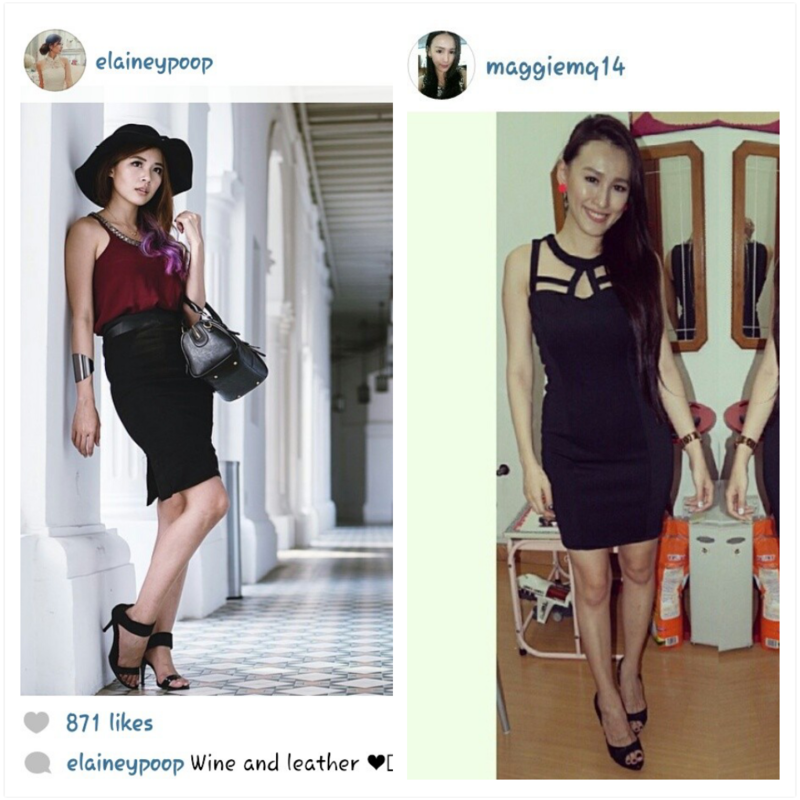 LOVEIGE would love to reward their fans on FB and sponsor their fans apparels that they fancy! 2. 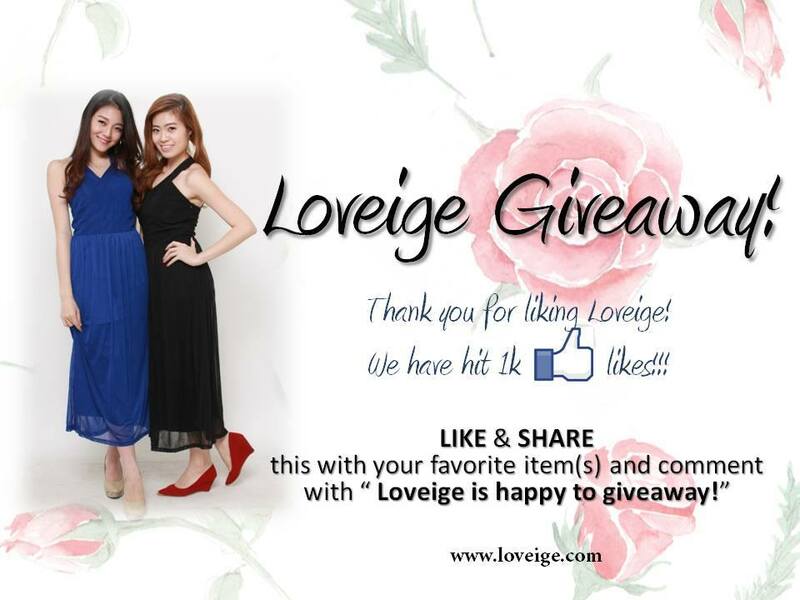 ‘Share’ the album & leave a comment; ” Loveige is happy to giveaway!” to inform us that you have liked & shared. *8 lucky Ladies will be picked randomly & announced end of April! Contest ends 30th April 11.59 PM. 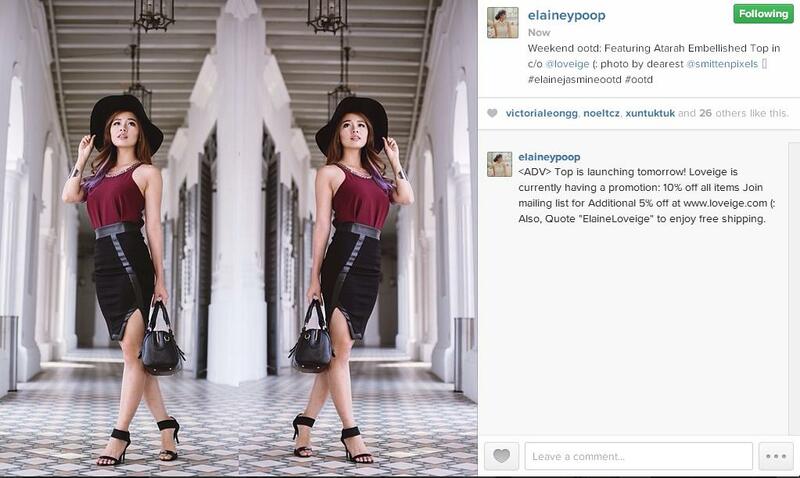 Also, i am in love with the DOVEY CLASSY PLATFORM HEELS that is brought in by SOLEPRETTY by Loveige. Pre-order is open now, you will definitely be surprise at the affordable pricing of this pair of gorgeous heels. It is retailing at only $28! 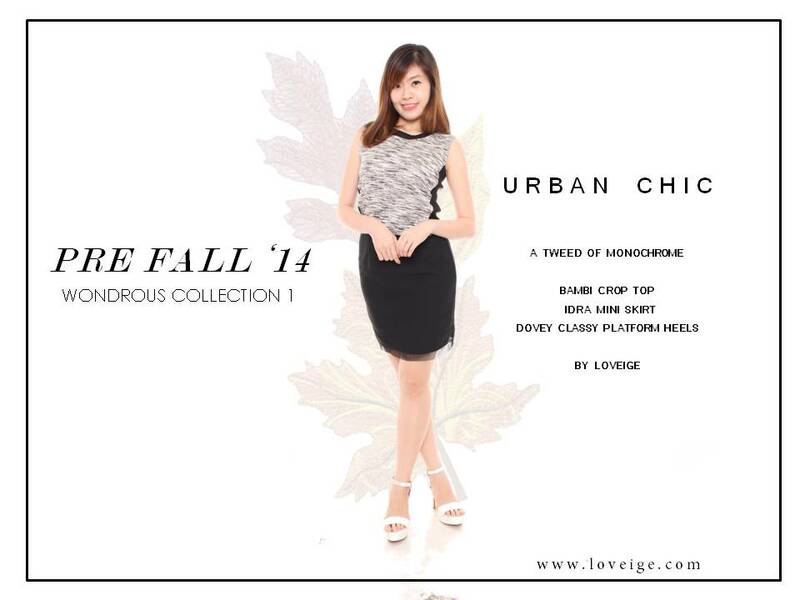 Upcoming local online fashion boutique LOVEIGE has launched their second collection yesterday. 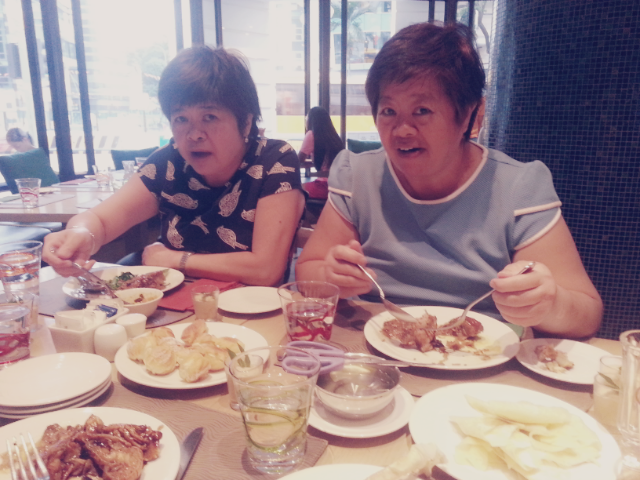 This time round, they played with the idea of versatility. It is their Spring Collection and its name is DELIGHT doth SPRING! Let’ see what we have here. 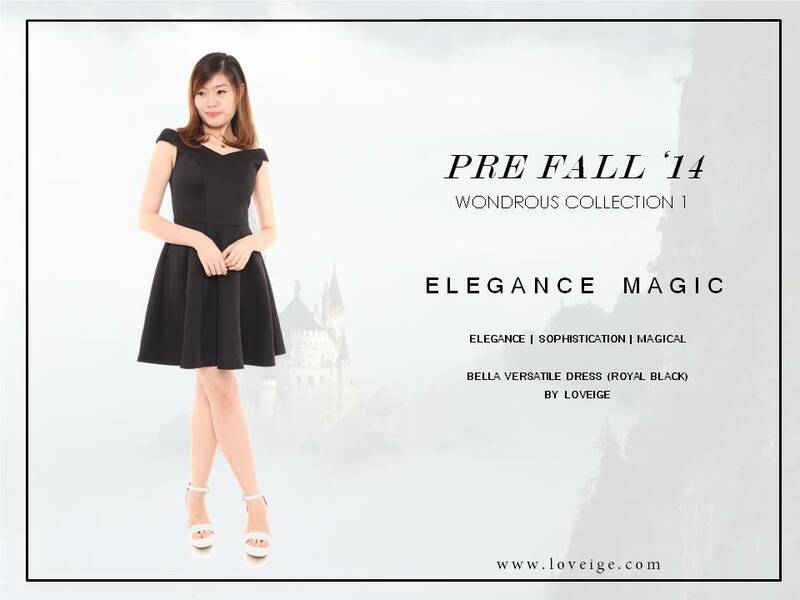 Yeap, in case you didnt already know, LOVEIGE is still having their 10% opening sale discount and it is for a limited period of time only. Do make use of the 10% now! To sweeten the deal, you only have to spend a min of $41 to win a bag of ANNA SUI products that is worth $100! The price of each average piece of clothing is around $22? 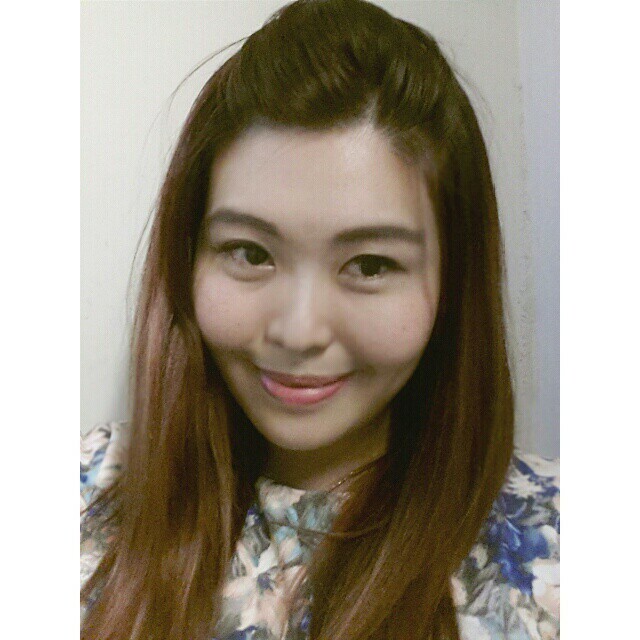 Just 2 pcs of clothings and you get to win a bag of ANNA SUI products, how worth it! This is on top of the 10% discount! With all the offers and discounts, some might think that the items are inferior but no, hell no. Take a look at their newest launch HERE or simply scroll down. 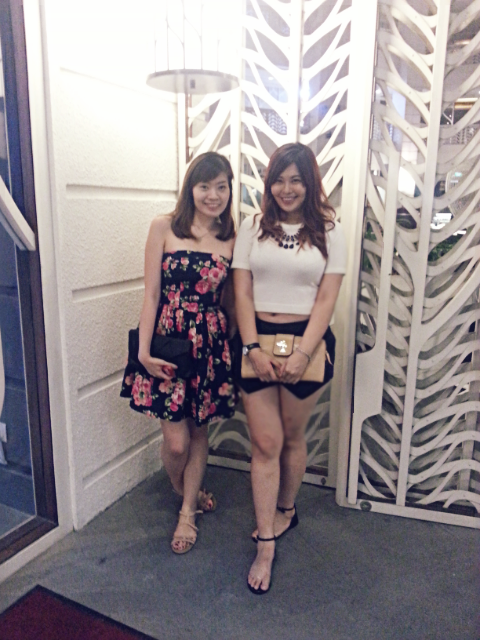 Famous Blogger Elaine Jasmine wearing LOVEIGE’s White Bernice Top in her own versatile ways. 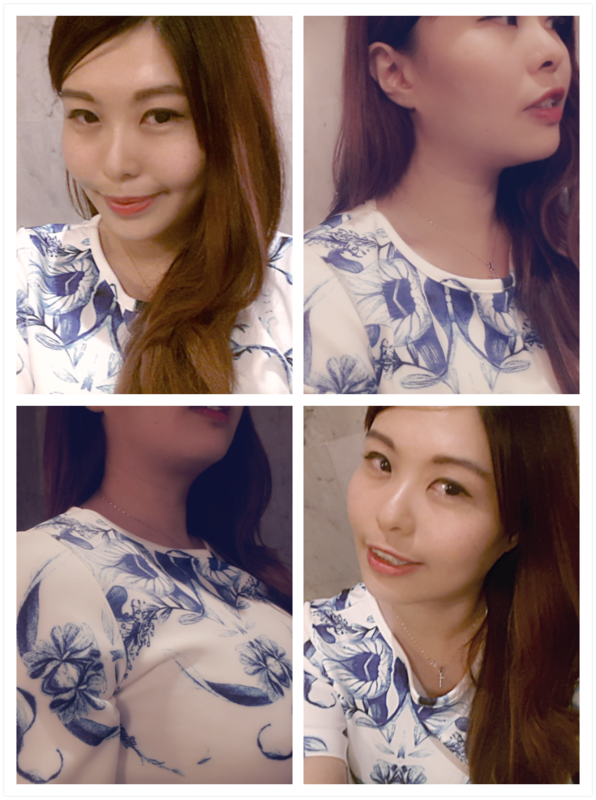 The top is flowy and light, comfy and stylish. Don’t you love the back of the top, showcasing femininity with simplicity. The stretchy material has to be the plus point of this dress. It is super comfy and i own 1 myself. It is super flattering due to its superb spandex material. Spandex is the way to go. Forget about the usual boring romper. This romper is edgy and stylish. Pair it with heels for a diva look. Pair it with flats for a dress down weekend. The keyhole detail also bring a slight twist to the black romper that tends to be a tad boring. Good Gracious, this is a MUST BUY. 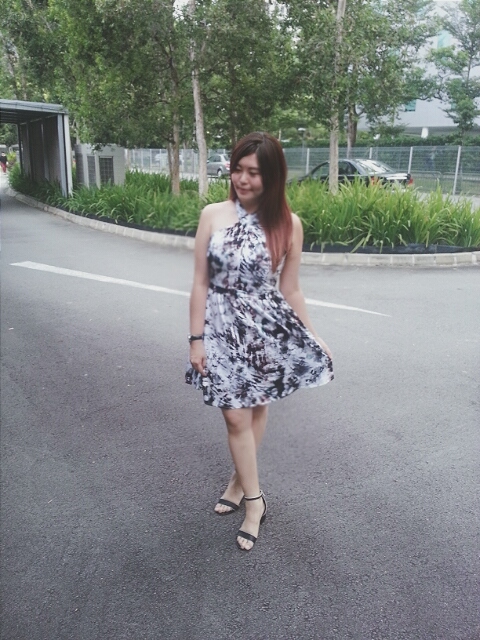 Best for wedding dinners, D&D, wedding lunch receptions (think garden theme), a nightout. It might even be the most attractive date dress you can ever own. 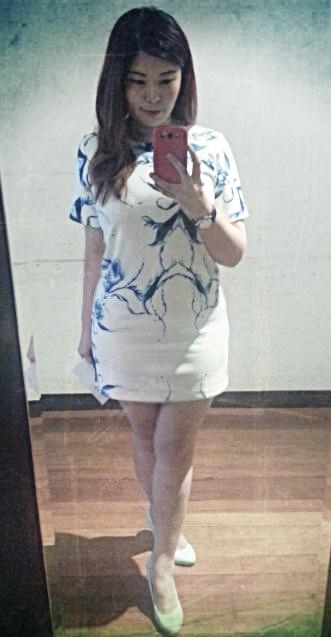 Make of thick and superb material, it is only retailing at $33. On top of that, it is specially imported by LOVEIGE. This is a total MUST HAVE! Special preorder for EDEN WEAVED SANDALS! We experience one of those lazy days now and then. Don’t fall victim to a disastrous outfit; make sure you have easy get-ups on standby for days like that. Avoid ruining your outfit by pairing your pants or jeans with flip flops. Instead, pair them with stylish sandals and Step out in style! The sandals are on BO now and they will only arrive by End of April. The package will reach you approximately on 29th April. The available colors are white, brown and velvet black while color red is unavailable and is sold out. The postage for the item will be $2 for normal postage. If you are buying more than 1 pair, there will be free normal postage. 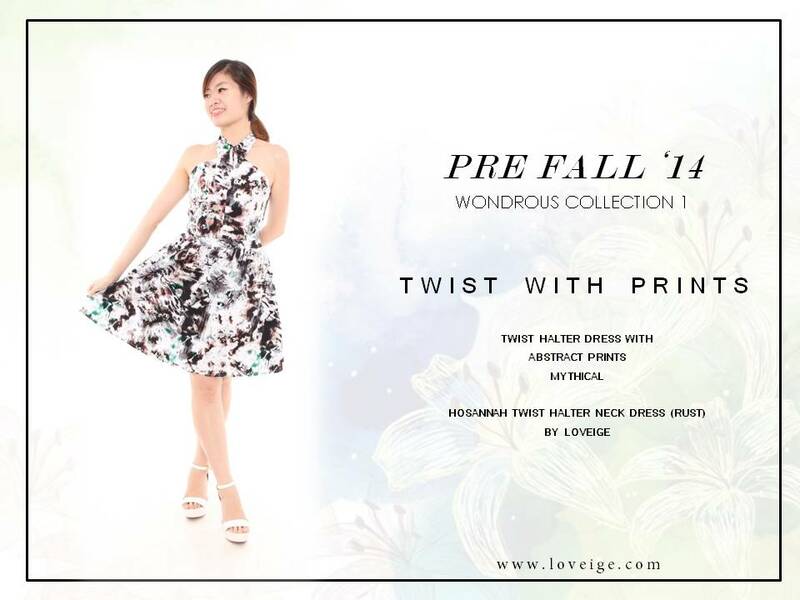 Head to http://www.loveige.com now and select your favourites! I am sure there is something you will like. 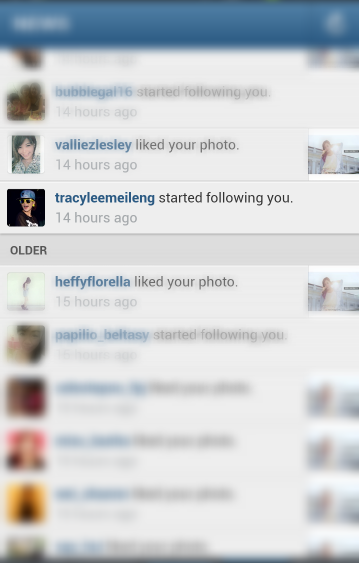 I mean, even Mediacorp actress Tracy Lee is their fan, why wouldnt you? Also, join their mailing list for exclusive offers!